If you build it, they will come isn’t the reality and business owners know this. If you are an HVAC contractor and need to know where you can get clients, this is where you should start. These 9 websites will give you a great starting point for promoting your HVAC business on the internet. While having a complete and accurate business listing on as many websites as possible will help boost your overall rank, this is a good start. Many of these websites are specialty websites that cater to home services and are the perfect place to have your HVAC business listed. Some are general business directories yet they’re still essential to getting new customers for your HVAC business. Of course, the more places you have your business listed, the better off you’ll be. We have a local directory management tool that makes it easy for HVAC contractors list their business across over 130 local business directories and keep those listings up-to-date instantly. Most of these websites offer you a free listing, some of them cost money to get listed, and many of them offer ways to reach more potential customers if you pay for them. Now for the places you must list your HVAC contracting business. This one is essential to every local business and our most recommended online directory. The reason it’s always #1 is that it’s part of Google’s vast network where most people start their search for local businesses. It will get your business in Google Maps which are displayed in Google search results. Your business will also be found in the Google Maps app which is a popular place to navigate and find local businesses. There are others places your business will be found but those are the two most essential. if your business isn’t listed on Google My Business then you’re not likely to be found online. Claiming or creating your Google My Business profile is essential to your local businesses survival but be sure you also get as many reviews there as possible. Be sure you have a good strategy behind reviews, though, rather than just sending an email. I put this as a sub-point for Google My Business because it’s not a directory. 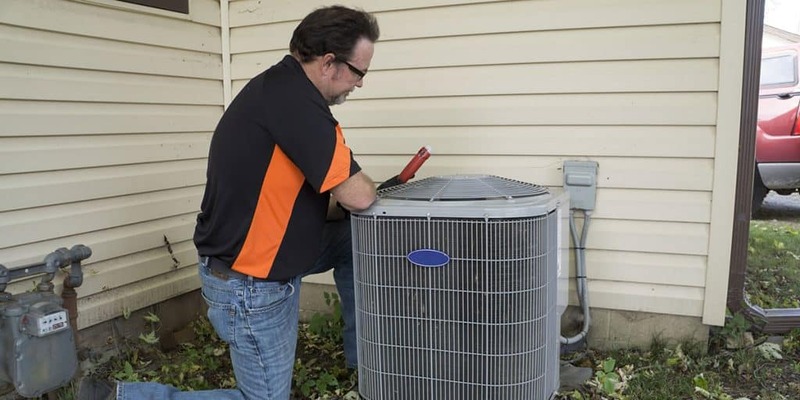 It is a great option for an HVAC contractor, though, because only service businesses can take advantage of these. You essentially pay for each lead. Not only that but Google does a background check on your so once you qualify, you’re Google qualified and seen as more trustworthy. It’s not the only strategy for new customers you should have, but it’s good to keep as one in many strategies. This is a big one for HVAC contractors in the United States mostly. It is growing in popularity in Canada also but for now US HVAC contractors need to pay attnetion to Yelp. Make sure you claim your Yelp listing if your business exists on there or if not, create a new business listing. Yelp can be a powerful source for new customers. Don’t just claim your listing and put a few pieces of information in it. If you care about your business even a little bit then take at least an hour and write something valuable for your customers in the places they give you. That means don’t just drone on about yourself, write it to tell your potential customers why you’re the best HVAC contractor for them to choose. This is a big one for all the local HVAC contractors out there. While Angie’s List isn’t the #1 place for getting customers for free, it is focused on home services. That means it’s a valuable place to have your business listed and holds authority with the HVAC industry. You’ll find Angie’s List at the top of many pages in Google when potential customers search for HVAC contractors. That means if you can get some reviews and make the top 10 list, you may get some new customers there. Not only is it good to be on the top 10 HVAC contractors lists from Angie’s List but search engines see that as authoritative also. That means they are more likely to trust your business when you’re on that list, so will customers. This is the first time Apple Maps has made it on one of these lists of ours. Not because it’s not important, though, but more because it’s easy to overlook. How many people use Apple Maps to find local businesses? I think to find that answer you have to look at how many people own Apple devices. Sure it’s not as big as Android overall but a huge chunk of affluent people use them. That a really important chunk of potential customers for you. Apple Maps does get some business information from Yelp but not all. They also give you a convenient dashboard where you can control some basic business information in Apple Maps directly. This is one of the few directories which are not free. Like Angie’s List, they have many top ranking pages with top 10 HVAC contractors in your area. Those are important to build trust and many customers look for the HVAC contract directly from these lists. Would you trust a company that’s listed a the top of Google search results (which tells the customer nothing) or would you rather find a business from a top 10 list in the industry? I know I would rather go with the top 10 list because they are more vetted by their customers and have shown to give quality service. Back to Home Advisor now. Yes it costs some money each year but they do a background check and qualify each person on their pro lists. You can pay to be listed and then they give you the opportunity to pay for leads also. Probably expensive but it may be worth it to you for the customer. You can create a free profile on Thumbtack and then pay for a lead. While Thumbtack isn’t the most authoritative directory out there, people do use it to find work. They specialize in helping people connect with the best local professional in many different industries. Set up your profile and if you have plenty of fresh reviews on Google, Yelp, and Angie’s List then you may want to get a few on Thumbtack too. You can get customers without paying for leads but this is mostly a pay-per-lead service. Having a complete profile and getting a few reviews will increase your chance you’ll get the business from the leads you pay for. You can create a free profile on Porch which every HVAC contractor should do at least for the citation. As for getting direct business, the opportunities may be limited. The focus of Porch is mainly around their pay as you go service. They invest in bringing leads into their ecosystem and then you pay a markup on those leads. No guarantee (as there rarely is in life) but then again no matter what lead you get there is no guarantee they’ll become a customer. If you have a business, your business should be listed on Facebook. That goes for HVAC contractors as much as any other business out there. While Facebook isn’t an important place for people to find local services, it does help establish your business. Your Facebook business page will build authority in other directories and search engines. It’s a great way to build authority which means you should be posting something to Facebook on occasion too. You don’t have to waste tons of time on it because it won’t bring you business directly but it is important to keep your Facebook business page somewhat fresh. You know that other search engine, Bing? While they may not have an audience the size of Google, they are still important. People do use Bing to find local businesses and their local business service does serve other sources. Yes, other websites and directories get their information from Bing. It’s free and easy so why wouldn’t you put your business on Bing? These are some of the top directories that you should list your HVAC business on. They’re not all by a long shot though. A few of these are specialty directories that are focused on home service businesses, others are more general. They’re all important though. Why should your business be listed on other directories if these are the most important? The more citations (or directory listings) you have for your business, the better the chance you’ll rank high in search results. Yes, every directory and every place your business is listed contributes to how high you rank online. If you have a similar number of reviews, similarly completed Google My Business profiles, but your business has 20 citations and your competitor has 100 then your competitor will outrank you every time. Get out there and get your business out there too. There are many important factors to getting more customers online but there are 3 essential pieces. Complete and accurate directory listings as many places as possible. Constantly refreshed reviews to keep you ranked high. Good links to your website that are from local sources. Review Reach and Local Reach will make number 2 and 3 extremely simple. When you pair those two with our custom affordable web design, you’re set to succeed locally. Our custom websites are designed to help your HVAC website rank locally in search results. Ready to rank higher in search results for your business?